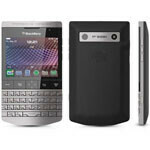 After the rumor mill started churning, RIM announced in October that the phone formally know as the BlackBerry Knight would be released later this year as the Porsche Design P’9981, although it was not specific about an actual date or price. According to T3, UK luxury retailer, Harrods, will be carrying the device in December. With January quickly approaching, it should be only a few days until this expensive product from the marriage between RIM and Porsche is available. How expensive you ask? This gem will run you £1,275, which is about $1,998 US. UPDATED: We just spoke directly with Harrods, and have been informed that the device is available now. The representative said the device is in very high demand and is selling fast. They have it available in English and Arabic and are able to take orders over the phone or in the store. It is not available on the Harrods’ website at this time. RIM will probably delay the release of this model because there waiting for some sort of LTE chipset thingamajig which will be delivered by a knight in shining armor riding a white unicorn sometime in the Mayan year 2012.
this is so.... NOT porsche. Porsche needs to do their research and realize that nobody is buying Blackberrys anymore. Especially for that price. These specs are mid-range compared to high-end Android phones. Sad but true. The next Porsche phone should be Android. If RIM is focused on this .0000001% of the market, those who need a very expensive Blackberry in Arabic that embraces Porsche styling, then I suggest they fire the Marketing VP and whoever he/she reports to before any other stupid business plans are finalized for 2012. Haha . That's a good one . . .
What an obscenity. They may sell at most 10,000 (if that) of this trinket. Meanwhile, Android and Apple will be selling close to 100 million handsets in the same timeframe. There is a reason RIM's market share is tanking. Are you joking, right? $1,998 for that piece of crap? I've got the Torch 9800 when it got out and I'm still regretting the money I spent to buy it. Blackberries are over-priced and out-dated. Come on Mike, do your magic once again.